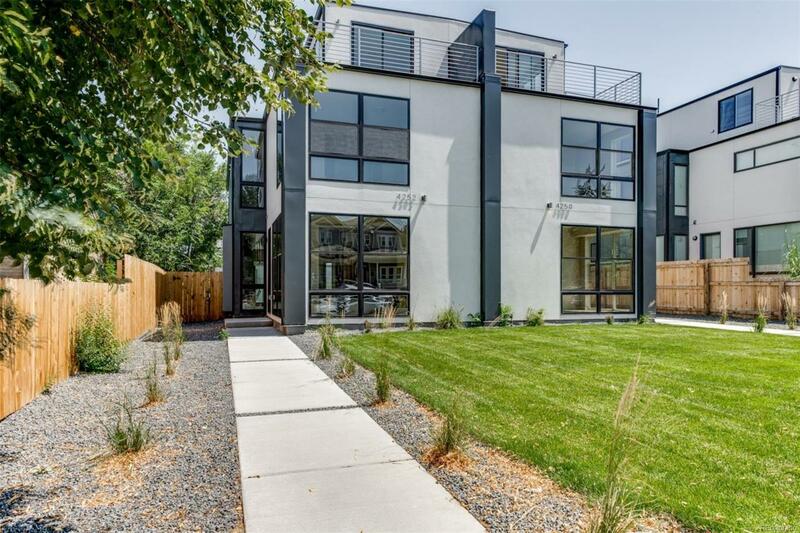 New construction modern duplex. Cohesive & luxurious materials hand-selected to create indulgent spaces. Open concept floorplan. Two-toned European style kitchen cabinetry, gas cooking, KitchenAid appliances, quartz coutertop, & glass tile backsplash wall. Gas fireplace in living room, floor-to-ceiling glass in study & bedrooms, hardwood floors, modern barn doors, designer tile & lighting. Large back patio + 3rd story entertainment room/flex space w/ wet bar & patio.